If there’s one thing that immediately comes to mind when I think of Prada it’s their beautiful Saffiano leather. 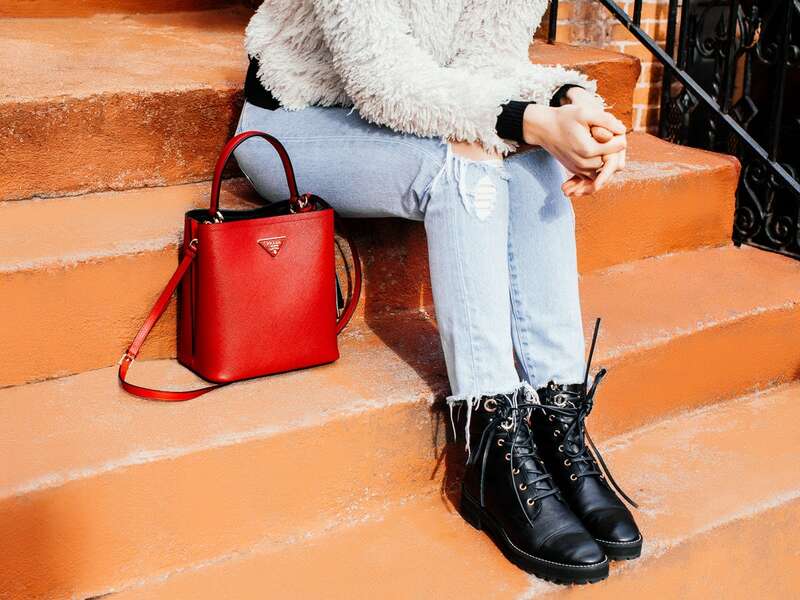 Known for its incredible quality, craftsmanship as well as its durability, the Prada Saffiano line never goes out of style. If you think of Prada Saffiano than you probably automatically picture Prada’s classic Galleria Bag. 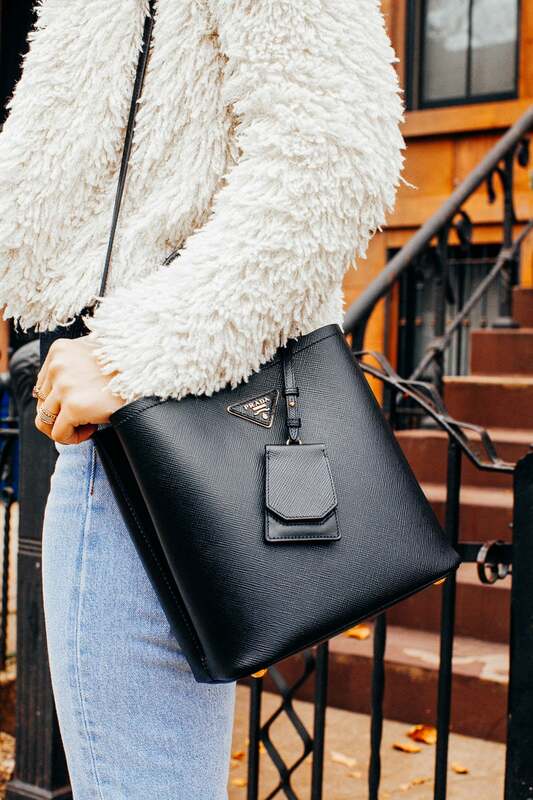 Recently, Prada added a brand new shape to its lineup of Saffiano bags, and it not only fits into my wardrobe, but it also fits into my busy lifestyle. 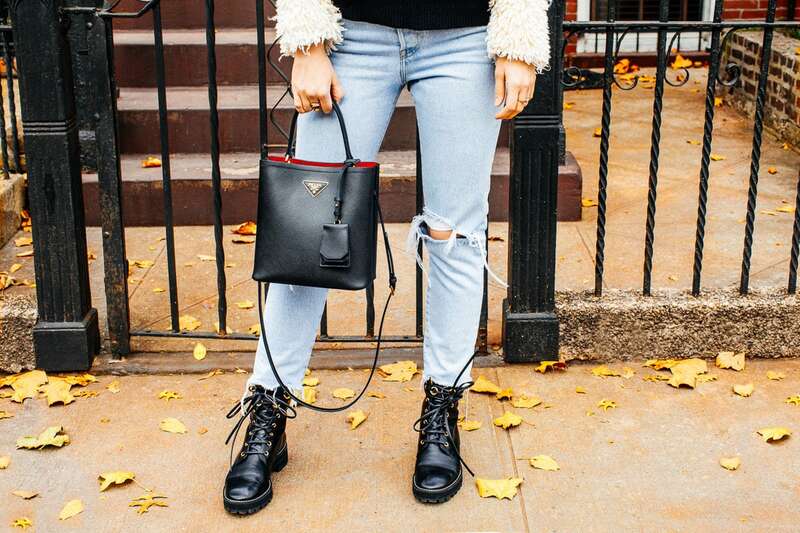 I’m currently crushing on the Prada Saffiano Double Bucket Bag. While I’m all for eye-catching and trendy pieces there’s a part of me that really appreciates classic pieces that never go out of style. My collection is a mix of of-the-moment bags as well as bags that are bit more classic, but often with a twist. 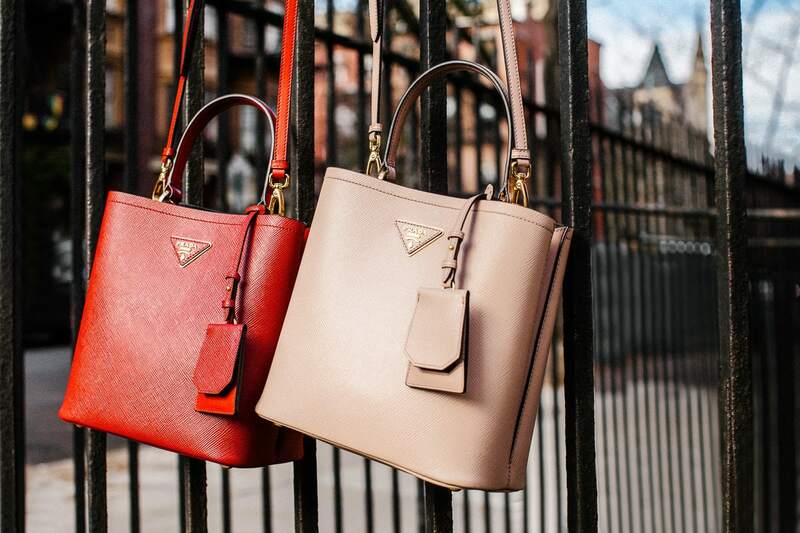 What I love about this new bag from Prada is that it’s classic in some ways but of-the-moment in others. The timeless Saffiano leather and Prada logo never go out of style, but the bag’s shape is new, fresh and unique. Its shape is different than a true bucket bag, and I really love the overall design of this bag. And, just like the Galleria bag, Prada designed this bag with the modern woman in mind. It’s much more functional than you might think. Unlike most bucket bags, the interior of this bag is split into two compartments which is really appealing to me. One of the things I strongly dislike about bucket bags is that they often become a black hole for your things. With everything thrown in it becomes very disorganized and hard to find what it is that you’re looking for. This bag makes it a bit easier to keep your belongings in check. When worn cross-body, or over the shoulder with the removable and adjustable strap, this bag is super easy to get in and out of on the go. In the middle there is a skinny slit pocket that I almost didn’t even realize was there! 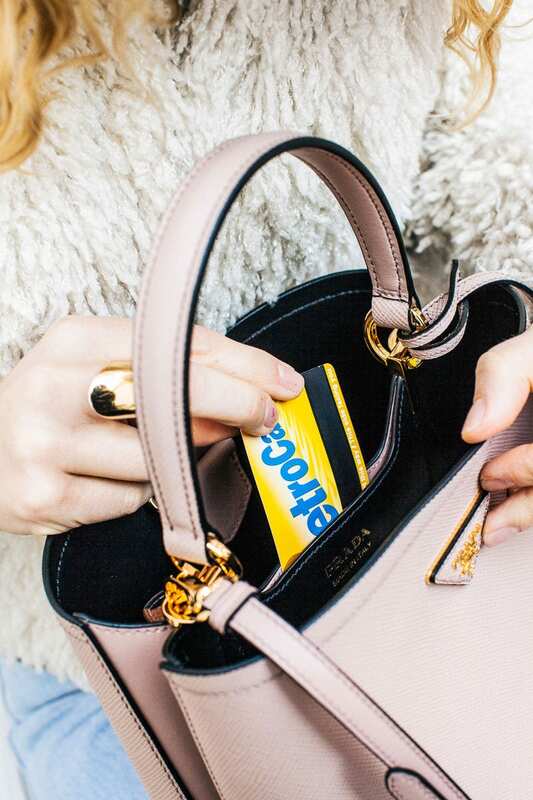 Once I noticed I found it incredibly useful to store my MetroCard for easy and quick access. Inside, the bag is lined in contrasting nappa leather, which is another perfect example of the amazing quality of Prada’s bags. The bag is finished with a classic hang tag, which can be totally removed as well as a magnetic snap closure. Overall, the size is great for an everyday bag, and I was able to carry everything I needed for the day plus some extras. The bag even fit my small Swell water bottle, and I’m so used to carrying a couple of bags that carrying just one was a real treat. Overall dimensions are 8.9″H x 8.5″W x 5.1″D, discover more details and view the full line-up of colors via Prada.